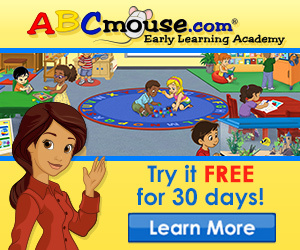 FREE Month Trial Offer at ABCmouse.com – Educational Games for Children! ABCmouse.com- offers more than 2,000 fun and engaging books, games, songs, puzzles, and art activities that help prepare young children for success in preschool, pre-k, and kindergarten classes and to develop a lifelong love of learning at an early age. Click here to get your 30 day free trial today! FREE Arthritis Guide and Knee Pain Kit! And more… Sign up for free today! Care.com provides a trusted place for families and care providers to easily connect, share caregiving experiences, and get advice. The company addresses the unique lifecycle of care needs that each family may go through — including child care, special needs care, tutoring, senior care, pet care, housekeeping and more. The service enables families to find and select the best care possible based on detailed profiles, background checks, and references for hundreds of thousands of mom-reviewed providers who are seeking to share their services. Click here to try it for free today! Get Paid to Eat and Shop with Plink + Earn a FREE $5 Gift Card With Free Registration! Get paid to eat and shop at your favorite stores and restaurants. Join Plink for free and earn Cash & Rewards from Amazon, iTunes, Home Depot, Facebook and more … just for eating and shopping at some of your favorite stores and restaurants. You’ll earn rewards at more than 35,000 locations nation-wide. Free to join. Receive a FREE $5 Gift Card as well. Debit or Credit Card registration required.. Click here to start earning your rewards today! H&R Block Offers 15% Off of Online Tax Preparation! With tax season just around the corner, now is the time to think about preparing your tax returns! We found a super deal for you through H&R Block! Save 15% on H&R Block At Home Online Premium ! Click here to shop and save today! FREE Issue of Travel + Leisure World’s Best Affordable Beaches Magazine Download! Download Travel + Leisure’s Worlds Best Affordable Beaches Magazine for FREE! No strings attached, just another awesome freebie for you to take advantage of! Click here to get your free download today! 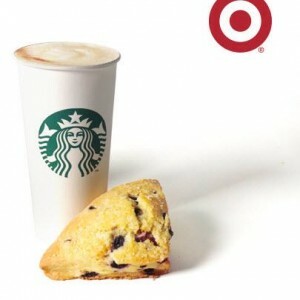 FREE Pastry at Target Starbucks With Any Grande or Venti Espresso Purchase! If you are headed to Target, be sure to grab yourself a free sweet treat! Through March 3rd you can get a FREE Pastry with any Starbucks grande or venti espresso beverage at Target Store locations. 3 Pack of Fleece Behind the Head Winter Ear Warmers – FREE! Winter is Here! Warm Those Ears! Regularly priced at $24.95, you can snag these Winter warmers for FREE! Just pay $4.99 shipping! 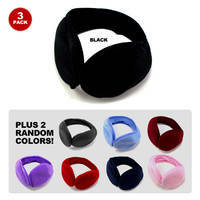 *With this pack, receive 1 black and 2 random color ear warmers! * The adjustable, fleece behind-the-head ear muffs are the first and only ear warmers that wrap around the back of your head. The design provides superior warmth and replaces the awkward appearance and marginal effectiveness of traditional and uncomfortable earmuffs. These soft fleece ear warmers are made from high-quality, breathable fleece. Ear warmers wrap around the back of your head, so they can be worn with glasses, helmets, and hats and are not cumbersome while you work. Click here to snag your freebie today! FREE Cup of Angus Chili at White Castle! White Castle is offering this coupon valid for a free cup of Angus Chili with any purchase! Coupon is valid through February 28, 2013!